A few years ago I introduced you to Kalypso Twistz – and amazing direct sales company with a unique twist – literally! Kalypso Twistz feature gorgeous interchangeable jewelry that you can change – in a twist! Simply choose your setting, select your Xpression, and in a twist you are ready to go! This week I received some new Kalypso Twistz and Xpressions to add to my collection. There are so many new and beautiful pieces to choose from, I had trouble deciding which ones I wanted. 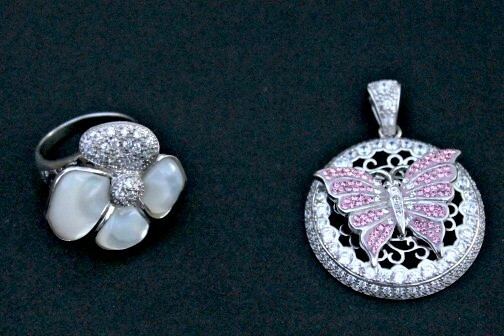 I ended up getting the pink and white butterfly and the Marina Black because they are both gorgeous, but I collect butterflies and starfish! I thought it was awesome that Kalypso Twistz had both of my favorite things – and because they are interchangeable, I can move my Xpressions to whatever pieces I want to wear that day! Cool right?! 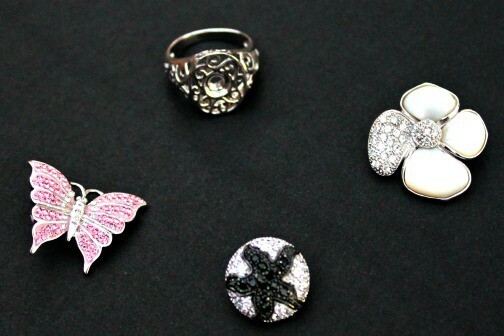 I have been wearing the Fiesta Ring with the White Fiona flower Xpression often since I received it nearly two years ago. The crystals still sparkle like the very first day. It has never gotten loose, never tarnished or dulled – in over two years! I know that when I buy anything from Kalypso Twistz – it will last me for years to come. Kalypso Twistz also offers beautiful Fenton Beads, Mother of Pearl jewelry, and super cute Kandy earrings which I just love! I got the Licorice Kandy earrings that I can not wait to wear to a concert I am going to tonight. They are dainty and light with just the perfect amount of sparkle! 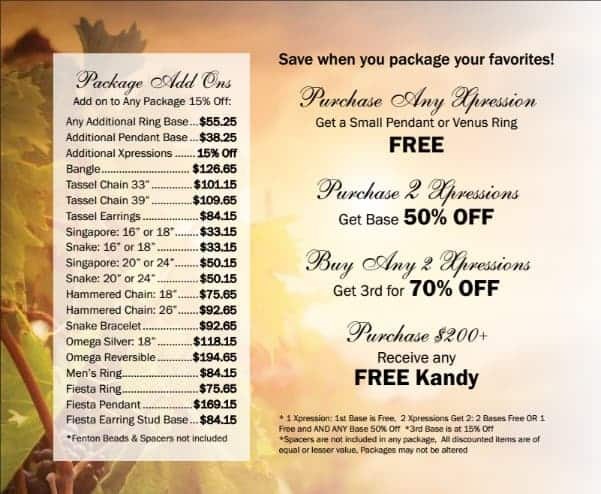 Kalypso Twistz makes buying easy with their exclusive packages. The more you buy – the more you save! And with just a few pieces you can literally transform your jewelry box to match your entire wardrobe! You no longer need tons and tons of jewelry to fit your personal style! Kalypso Twistz is looking for men and women nationwide who want to make a significant income thrown “Therapy Sessions” with their fine jewelry. Therapists can earn up to 45% of their sales with one of the most generous compensation plans in the industry. There are several starter kits to choose from to match and budget and any goals.